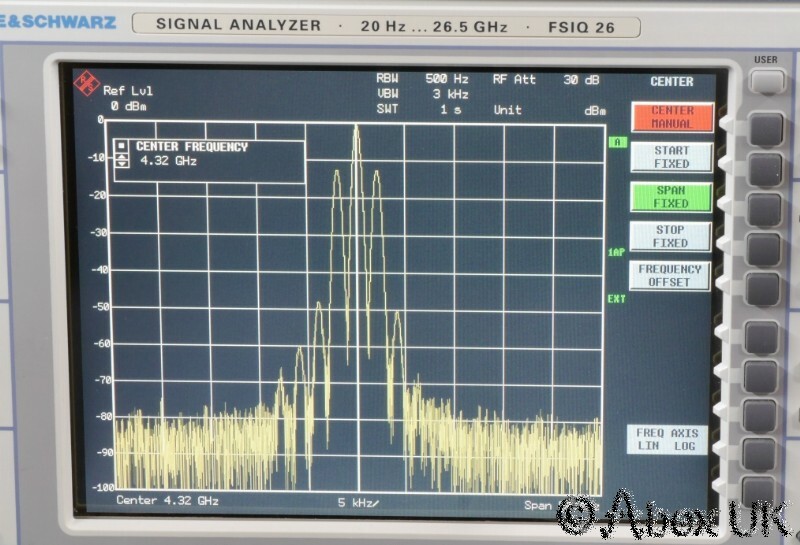 This calculator predicts the spectrum (sideband levels) due to AM (Amplitude Modulation). The results are valid for sinewave modulation only. Applications include calibration of modulators. It should be noted that a real system with non sinusoidal modulation, or with distortion in the modulator, will show harmonic sidebands in addition to the fundamental ones. 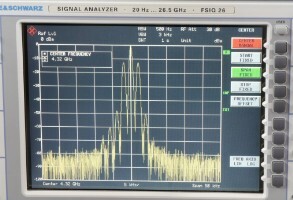 The example shown here has 50% modulation and several distortion products are visible. Enter a value for P, the percentage of modulation.